It only takes a couple of minutes online to see the prominence of Campfire Audio and their presence in seemingly every conversation. 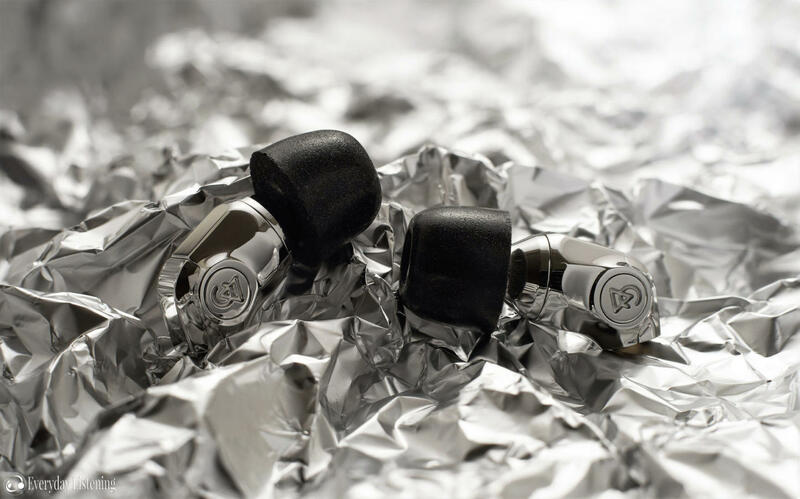 From their newly released over-ear headphone, the Cascade, to the almost universally adored Andromeda, you would be hard-pressed to find an instance where Campfire Audio’s high-end products aren’t recommended. However, though respected, their lower-end models haven’t achieved the same unconditional love and Campfire have been quick to react. Follwing in the footsteps of the Polaris, the Comet is their response; a single BA earphone that promises great range through its implementation of a vented armature and Campfire’s proprietary T.A.E.C 3D printed sound chamber. It similarly carries a more engaging tuning, especially compared to the Orion and Nova before it, in addition to a complete redesign to permit cable-down wear in addition to over-ear. Perhaps most impressively, Campfire Audio are offering the Comet at an attainable $200 USD, all aspects that make this their most accessible earphone yet. You can read more about the Comet and treat yourself to one here. I would like to thank Campfire Audio very much for their quick communication and for providing me with the Comet for the purpose of review. All words are my own and there is no monetary incentive for a positive review. Despite receiving the earphones free of cost, I will attempt to be as objective as possible in my evaluation. The Comet comes packaged similarly to Campfire’s past in-ears with the same compact box. Opening the box reveals the earphones within Campfire’s legendary leather carry cases similar to that included with their dynamic earphones and the Orion. The case has faux shearling that prevents scratches during transportation and Campfire house each earpiece in a separate fabric pouch so they’re kept pristine during shipping, very thoughtful. Campfire has also switched to a more compact zipper design with their logo. Underneath are the accessories, a CA pin, 3 pairs of silicone tips, 3 pairs of foams and 5 pairs of Final Audio E-tips. The Final tips are a great addition and I much prefer them to both the stock and Spinfit tips that were previously included. Chiefly, they sound more transparent while providing similar ergonomic benefits. It’s great to see Campfire including these tips from factory. Campfire’s redesigned earphones have been met with a polarising response but, to my eye, the Comet looks a lot better in person and its design has grown on me during my months of testing. This is reaffirmed by their dense, unrelenting construction, employing a solid 3-piece stainless steel design with striking chrome finish. There’s no give, rattle or creak to be found here and the level of finish is immaculate with even seams, perfect joins and smoothly formed edges; you would be hard-pressed to find a better-built earphone at any price point. I’ve also found the Comet to age well, picking up no dents or scratches over my past months of testing; just be sure to wind them up from the earpieces and store in the included case after use. The Comet fits similarly to earphones like the Etymotic ER4 and Klipsch X10, and its slender design offers flawless comfort with no sharp edges and minimal ear contact. It should also be noted that though the driver in the Comet is vented, the external housing is fully-sealed. Combined with a slightly deeper fit than Campfire’s previous BA housing, isolation is terrific, a dream for portable use, especially with foam tips. In addition, its bullet-shaped housings enable comfortable wear both cable-down and over the ear, and it remains very stable in both configurations. As the MMCX connectors angle away from the face, microphonic noise during cable-down wear is minimized and absent entirely when worn over-ear. Campfire is using the same cable as the Polaris, with an additional 3-button remote/mic and no cable guides to permit cable-down wear. It employs Litz copper internals and a twisted braid that’s supple and smooth, effectively avoiding tangles. It has a well-reinforced, case-friendly right angle plug and custom beryllium MMCX connectors that promise greater longevity. In short, the included cable is as liveable as we’ve come to expect from Campfire, a former cable manufacturer. It feels well-constructed and suitable for portable use. The added functionality provided by the inline remote/mic will surely be welcome to many smartphone users. Sorry, haven’t heard that model yet! Will surely compare if I review it in future.